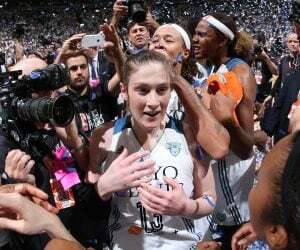 The top-seeded Minnesota Lynx are back at it on Thursday night at Williams Arena as they host the No. 6 Washington Mystics in Game 2 of the semifinal round of the 2017 WNBA Playoffs presented by Verizon. The Lynx come into the game carrying a 1-0 series lead over the Mystics in the semifinals. After Thursday night, the best-of-five series will shift to the nation’s capital for Game 3. If necessary, Game 4 will be in Washington D.C., with Game 5 coming back to Williams Arena, if needed. 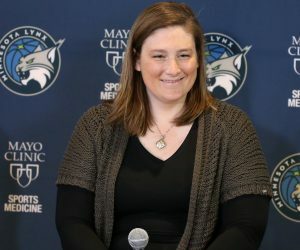 In four matchups against the Mystics this season, both in the regular season and so far in the postseason, the Lynx have won all four games. Minnesota won its first game of the postseason on Tuesday in Minneapolis, marking the seventh consecutive year (eighth in nine postseason appearances) that they’ve opened with a win. In Game 1 of the semifinals, Minnesota came away with a 101-81 win over Washington. The Lynx lead by as much as 29 points in the game. 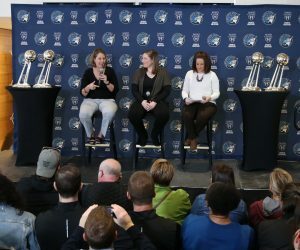 In that game, Seimone Augustus led the way for the Lynx in the game, scoring a season-high 24 points and adding five rebounds and three assists. 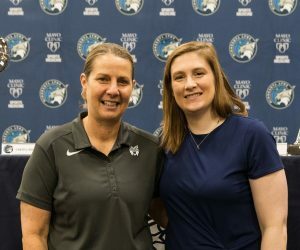 Renee Montgomery had 18 points (including four threes), which is her new playoff career-high, Sylvia Fowles had 18 points and seven rebounds, Maya Moore had 14 points, four rebounds and four assists, Rebekkah Brunson had nine points and three rebounds and Jia Perkins added eight points and three rebounds off the bench. For the Mystics, Elena Delle Donne had 17 points and six rebounds and Tierra Ruffin-Pratt added 16 points and four rebounds to lead Washington. Emma Meesseman had 15 points and three rebounds, Ivory Latta had 10 points and Natasha Cloud finished with eight points and three assists. One of the multiple matchup to watch out for in Thursday game will be highlighted by a battle between Minnesota’s Seimone Augustus and Washington’s Tierra Ruffin-Pratt. Augustus is coming off of a stellar performance in Game 1, finishing with a season-high 24 points, along with five rebounds and three assists. When Augustus is playing like she was on Tuesday, the Lynx are just that more challenging to play against. Ruffin-Pratt had a nice game on Tuesday as well, finishing with 16 points, four rebounds and three assists. In three postseason games so far this year, she is averaging nine points, 5.3 rebounds and 2.7 assists per game. Washington: Tayler Hill (knee) is out.